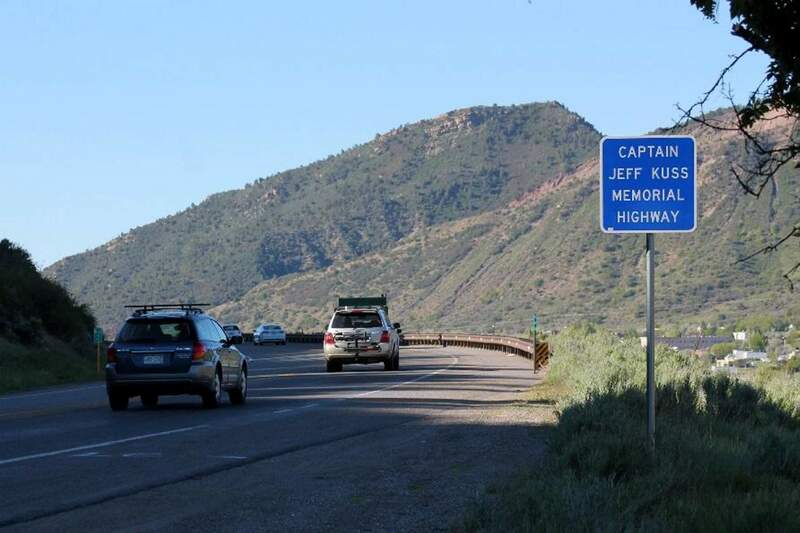 CDOT’s newly installed sign for the honorary designation of Colorado Highway 3 as the Captain Jeff Kuss Memorial Highway. Kuss died in a jet crash June 2, 2016, while practicing with the Navy Blue Angels in Smyrna, Tennessee. 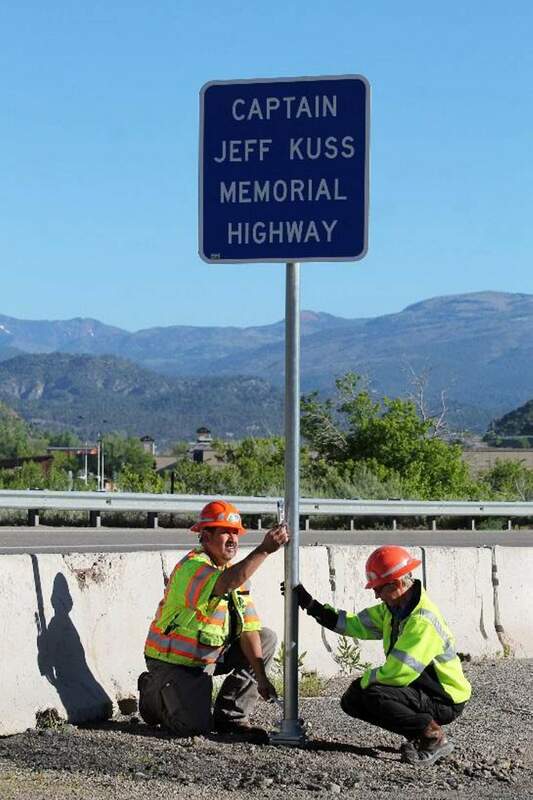 CDOT workers install signs for the honorary designation of Colorado Highway 3 at the Captain Jeff Kuss Memorial Highway. An artist rendering of a memorial to Capt. Jeff Kuss planned in Smyrna, Tennessee. Kuss died in a crash in the town while practicing with the Blue Angels for an airshow. Signs were installed Monday along Colorado Highway 3 to honor Marine Capt. Jeff Kuss, a Durango native who died in a jet crash while practicing with the U.S. Navy Blue Angels. Kuss, 32, crashed the F/A-18C Hornet he was piloting crashed June 2, 2016, as the Blue Angels prepared to perform in the Great Tennessee Air Show in Smyrna, Tennessee. He was a graduate of Durango High School and Fort Lewis College. In March, the state Legislature unanimously adopted House Joint Resolution 1015 to name the highway for Kuss. The highway, just over two miles long, will continue to also carry the state Highway 3 name. The resolution was brought forward by Rep. Barbara McLachlan, D-Durango, and co-sponsored by all members of both chambers. “We drive that highway a lot, and he’ll always have a special place in our heart, and this will just remind us every time we’re passing through how special a guy he was,” Michael Kuss, Jeff’s father, said when the resolution was adopted. 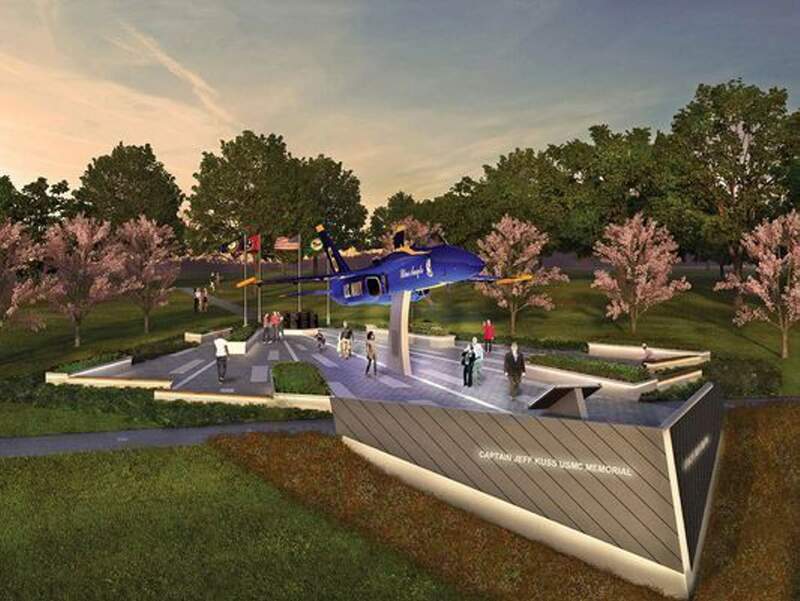 The town of Smyrna also is planning to honor Kuss with a $1 million memorial that will include a retired Blue Angel F/A-18 Hornet on permanent loan from Pensacola’s National Naval Aviation Museum, according to the town website. Smyrna Mayor Mary Esther Reed says on a video about the memorial that after the crash the town began to talk about what it should do to honor Kuss. “They wanted to see some type of memorial they could physically go to,” Reed says on the video. Fundraising is underway for the memorial in a Smyrna park. “This memorial is a wonderful tribute to Jeff’s life and distinguished service,” his wife, Christina Kuss, says on the video. For more information on how support the Smyrna memorial, go to townofsmyrna.org/departments/administration/capain-jeff-kuss-usmc-memorial.